Eleaf Coral RDA Atomizer - Canadian Vape Inc. The Coral Atomizer, a new rebuildable drip atomizer (RDA) by Eleaf, has an open space for you to easily install coils and cotton and enjoy the DIY fun in vaping to the fullest. The airflow can be adjusted to your preference by rotating the mouthpiece. 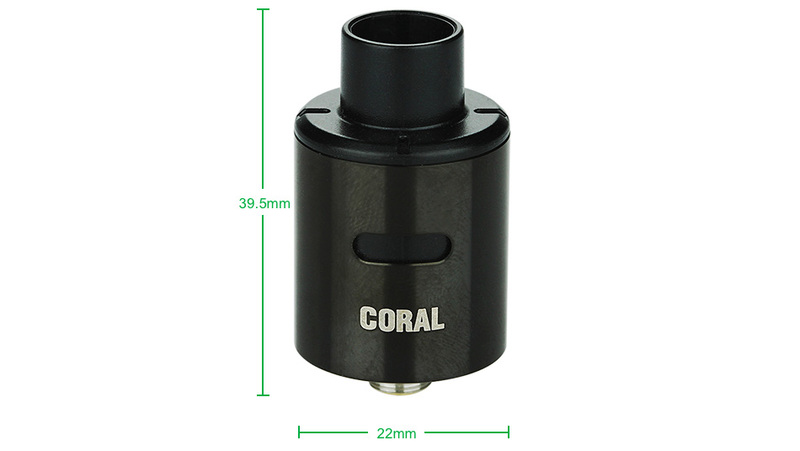 With a bottom-fed solution, the Coral fits the Pico Squeeze that has a reimagined Squonk system perfectly. Click the button below to add the Eleaf Coral RDA Atomizer to your wish list.